The second installment of Juliette’s story of self discovery and growth in a world where her gift can make her into a monster or, maybe, a hero. I, like many of my fellow readers, am not a big fan of the middle book of a trilogy. Many times this point in the series becomes a transitioning point that sacrifices plot and pace in order to get the characters where they have to be by the third installment. This second book, thankfully, did not operate like this. 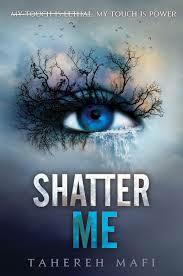 The first book was a way to introduce Juliette, Warner, and Adam, the three main characters. 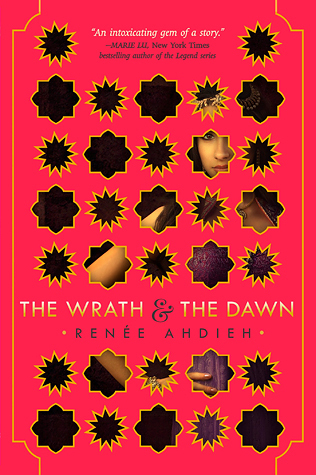 The second book seemed to be a way to give the romantic pairing of Adam and Juliette a fair crack at a relationship, without Warner being in control; but don’t worry Warner fans, Warner is very much a part of this book, but without the authority and control that he had in the first book. While the love triangle of this series is important, the second book also serves an important purpose is introducing the reading to a whole new cast of characters in the rebel base Omega Prime. The most important, and my favorite, of these characters is Kenji Kishimoto. 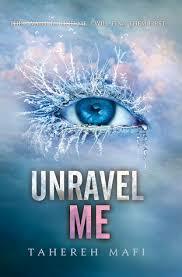 The readers actually meet Kenji in the last half of the first book, but it isn’t until Unravel Me that Kenji really gets enough attention for the readers to get to know him. With this extra attention the readers find out that Kenji is not just the perpetual jokester and flirt that he seems in the first book. Don’t get me wrong, Kenji is still these things, but in Omega Prime he is also a person of authority, respect, and leadership. 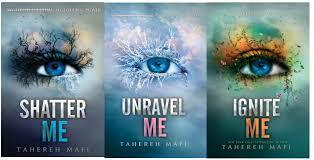 The point my friends is this: Unravel Me introduces and makes readers fall in love with the rebel group that will become Juliette’s family and adds depth and conflict to the existing relationships between juliette, Adam, and Warner. The tension among the citizens of Omega Point is getting tighter with each passing hour. We’ve tried to make contact with Anderson’s men to no avail—we’ve heard nothing from their team or their soldiers, and we have no updates on our hostages. But the civilians of Sector 45—the sector Warner used to be in charge of, the sector he used to oversee—are beginning to grow more and more unsettled. Rumors about us and our resistance are spreading too quickly. The Reestablishment tried to cover up the news of our recent battle by calling it a standard attack on rebel party members, but the people are getting smarter. Protests are breaking out among them and some are refusing to work, standing up to authority, trying to escape the compounds, and running back to unregulated territory. The losses have been too many and Castle is anxious to do something. We all have a feeling we’re going to be heading out again, and soon. We haven’t received any reports that Anderson is dead, which means he’s probably just biding his time—or maybe Adam is right, and he’s just recovering. But whatever the reason, Anderson’s silence can’t be good. “What are you doing here?” Castle says to me. I’ve just collected my dinner. I’ve just sat down at my usual table with Adam and Kenji and James. I blink at Castle, confused. “Oh, that’s excellent news, Ms. Ferrars. Excellent news.” Castle clasps his hands together; his face is the picture of relief. “And what have you been able to discover?” He looks so hopeful that I actually begin to feel ashamed of myself. Everyone is staring at me and I don’t know what to do. I don’t know what to say. “I’ll go right now.” I grab my tray and jump up from table, nearly tripping over myself in the process. “I’m sorry—I’m just—I’ll go right now. I’ll see you guys at breakfast,” I whisper, and run out the door. Brendan and Winston, I keep telling myself. I hear Kenji laughing as I leave. I’m not very good at interrogation, apparently. I have so many questions for Warner but none of them have to do with our hostage situation. Every time I tell myself I’m going to ask the right questions, Warner somehow manages to distract me. It’s almost like he knows what I’m going to ask and is already prepared to redirect the conversation. This is not a conversation I ever thought I’d have with Warner. I breathe a few beats before answering him. “I … I never got to choose my own books,” I tell him, and I don’t know why I feel so nervous saying this out loud, why I have to remind myself not to whisper. “I read whatever was available. My schools always had little libraries and my parents had some things around the house. And later …” I hesitate. “Later, I spent a couple of years in hospitals and psychiatric wards and a juvenile d-detention center.” My face enflames as if on cue, always ready to be ashamed of my past, of who I’ve been and continue to be. While one part of me struggles to be so candid, another part of me actually feels comfortable talking to Warner. Safe. Familiar. Because he already knows everything about me. He knows every detail of my 17 years. He has all of my medical records, knows all about my incidents with the police and the painful relationship I have had with my parents. And now he’s read my notebook, too. There’s nothing I could reveal about my history that would surprise him; nothing about what I’ve done would shock or horrify him. I don’t worry that he’ll judge me or run away from me. And this realization, perhaps more than anything else, rattles my bones. And gives me some sense of relief. “There were always books around,” I continue, somehow unable to stop now, eyes glued to the floor. “In the detention center. A lot of them were old and worn and didn’t have covers, so I didn’t always know what they were called or who wrote them. I just read anything I could find. Fairy tales and mysteries and history and poetry. It didn’t matter what it was. I would read it over and over and over again. The books … they helped keep me from losing my mind altogether …” I trail off, catching myself before I say much more. Horrified as I realize just how much I want to confide in him. In Warner. Terrible, terrible Warner who tried to kill Adam and Kenji. Who made me his toy. I hate that I should feel safe enough to speak so freely around him. I hate that of all people, Warner is the one person I can be completely honest with. I always feel like I have to protect Adam from me, from the horror story that is my life. I never want to scare him or tell him too much for fear that he’ll change his mind and realize what a mistake he’s made in trusting me; in showing me affection. But with Warner there’s nothing to hide. I want to see his expression; I want to know what he’s thinking now that I’ve opened up, offered him a personal look at my past, but I can’t make myself face him. So I sit here, frozen, humiliation perched on my shoulders and he doesn’t say a word, doesn’t shift an inch, doesn’t make a single sound. Seconds fly by, swarming the room all at once and I want to swat them all away; I want to catch them and shove them into my pockets just long enough to stop time. Finally, he interrupts the silence. “I like to read, too,” he says. He laughs. Sighs. Looks at me, smiles at me out of the corner of his eye. “You ask too many questions.” “I can’t help it,” I tell him. “You just seem so different now. Everything you say surprises me.” “How so?” “I don’t know,” I say. “You’re just … so calm. A little less crazy.” He laughs one of those silent laughs, the kind that shakes his chest without making a sound, and he says, “My life has been nothing but battle and destruction. Being here?” He looks around. “Away from duties, responsibilities. Death,” he says, eyes intent on the wall. “It’s like a vacation. I don’t have to think all the time. I don’t have to do anything or talk to anyone or be anywhere. I’ve never had so many hours to simply sleep,” he says, smiling. “It’s actually kind of luxurious. I think I’d like to get held hostage more often,” he adds, mostly to himself. And I can’t help but study him. I study his face in a way I’ve never dared to before and I realize I don’t have the faintest idea what it must be like to live his life. He told me once that I didn’t have a clue, that I couldn’t possibly understand the strange laws of his world, and I’m only just beginning to see how right he was. Because I don’t know anything about that kind of bloody, regimented existence. But I suddenly want to know. I suddenly want to understand. I watch his careful movements, the effort he makes to look unconcerned, relaxed. But I see how calculated it is. How there’s a reason behind every shift, every readjustment of his body. He’s always listening, always touching a hand to the ground, the wall, staring at the door, studying its outline, the hinges, the handle. I see the way he tenses—just a little bit—at the sound of small noises, the scratch of metal, muffled voices outside the room. It’s obvious he’s always alert, always on edge, ready to fight, to react. It makes me wonder if he’s ever known tranquillity. Safety. If he’s ever been able to sleep through the night. If he’s ever been able to go anywhere without constantly looking over his own shoulder. His hands are clasped together. He’s playing with a ring on his left hand, turning and turning and turning it around his pinkie finger. I can’t believe it’s taken me so long to notice he’s wearing it; it’s a solid band of jade, a shade of green pale enough to perfectly match his eyes. And then I remember, all at once, seeing it before. The morning after I’d hurt Jenkins. When Warner came to collect me from his room. He caught me staring at his ring and quickly slipped his gloves on. It’s déjà vu. He catches me looking at his hands and quickly clenches his left fist, covers it with his right. “Why are you hiding it if it’s nothing?” I’m already so much more curious than I was a moment ago, too eager for any opportunity to crack him open, to figure out what on earth goes on inside of his head. Flexes and unflexes his fingers. Stares at his hands, palms down, fingers spread. Slips the ring off his pinkie and holds it up to the fluorescent light; looks at it. It’s a little O of green. Finally, he meets my eyes. Drops the ring into the palm of his hand and closes a fist around it. “You’re not going to tell me?” I ask. He rubs the side of his neck, massages the tension out of the lowest part, the part that just touches his upper back. I can’t help but watch. Can’t help but wonder what it would feel like to have someone massage the pain out of my body that way. His hands look so strong. “Oh.” I bite down on my bottom lip. Disappointed. “Do you like Shakespeare?” he asks me. Warner stares at me for a full second before he bursts into laughter—strong, unrestrained gales of laughter—trying to rein it in and failing. I’m suddenly uncomfortable, nervous in front of this strange boy who laughs and wears secret rings and asks me about books and poetry. “I wasn’t trying to be funny,” I manage to tell him. “Where?” I ask, frozen in place, wanting and not wanting to look away. His pants are unzipped but hanging low on his waist. His boxer-briefs are visible underneath. He tugs and tugs on the elastic band of his underwear until it sits just below his hipbone. I’m blushing through my hairline. I’ve never seen such an intimate area of any boy’s body before, and I can’t make myself look away. My moments with Adam were always in the dark and always interrupted; I never saw this much of him not because I didn’t want to, but because I never had a chance to. And now the lights are on and Warner’s standing right in front of me and I’m so caught, so intrigued by the cut of his frame. I can’t help but notice the way his waist narrows into his hips and disappears under a piece of fabric. I want to know what it would be like to understand another person without those barriers. To know a person so thoroughly, so privately. I want to study the secrets tucked between his elbows and the whispers caught behind his knees. I want to follow the lines of his silhouette with my eyes and the tips of my fingers. I want to trace rivers and valleys along the curved muscles of his body. There’s a desperate heat in the pit of my stomach I wish I could ignore. There are butterflies in my chest I wish I could explain away. There’s an ache in my core that I’m unwilling to name. It’s 2 lines. Font like a typewriter inked across the very bottom of his torso. I don’t know this Warner. I’d never be able to recognize this Warner.